SICK microScan3 Pro Ethernet/IP Safety Laser Scanner - Tec-Hackett, Inc.
SICK, Inc. recently released the newest member of their microScan3 Safety Laser Scanner product lineup: the microScan3 Pro with EtherNet/IP and CIP Safety. With this product you can now have communication of safety data between the scanner and your Rockwell Automation Guard Logix safety PLC. What is CIP Safety, and Why Should it Matter to You? Traditionally, safe data communications have been proprietary to specific manufacturers, rarely interacting with devices outside of their brand’s portfolio. While both functional and reliable, communicating “outside” of the safe data network required special gateways to translate the information between different physical layers and communication protocols. The Common Industrial Protocol (CIP) was created by the ODVA to provide for a unified language of data communication between incompatible networks, allowing users to bridge legacy and newer network architectures. CIP Safety is a further extension to several existing CIP-compatible fieldbus networks, providing for a scalable, network-agnostic, approach to safety communication that does not require you to change your foundational network infrastructure. 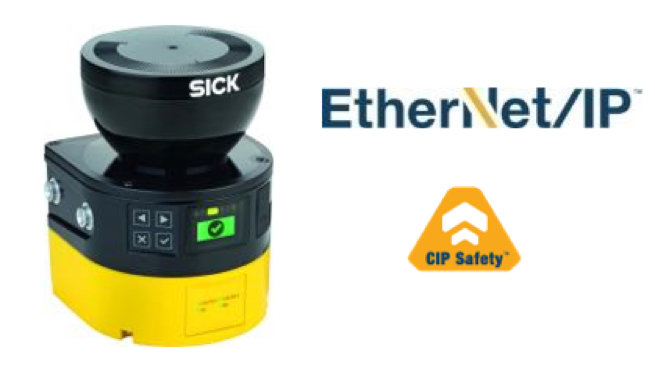 With CIP Safety you can now carry both safe and non-safe data on the same industrial networks. 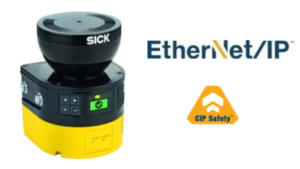 SICK is the first Safety Laser Scanner manufacturer to leverage CIP Safety by offering a version of their flagship microScan3 Safety Laser Scanner that communicates all of its safe and non-safe data over existing EtherNet/IP networks. When paired with a Rockwell Automation Guard Logix or Compact Guard Logix safety PLC, all of your machine’s controls can now be handled within a single programming environment, no bridge or gateway required! 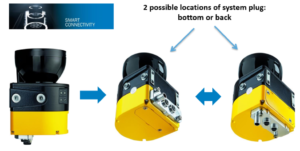 SICK is further enhancing the smart connectivity of the microScan3 Pro EtherNet/IP Safety Laser Scanner by reducing cabling cost. A built-in two port network switch allows for the microScan3 Pro with EtherNet/IP to be included in Device Level Ring (DLR) networks that fit all standard Ethernet network topologies. SICK also continues to implement their concept of the “system plug,” which is the memory module of the device. 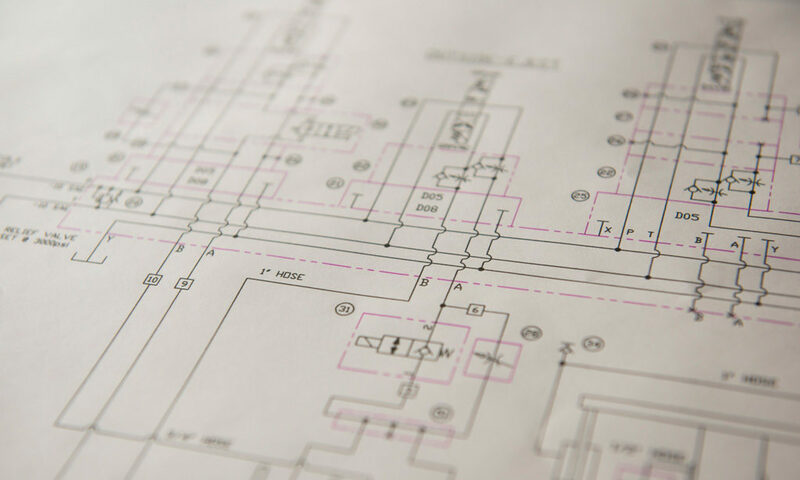 The system plug design reduces downtime in the event of damage or failure, allowing for quick replacement of the scanner without the need for a PC to commission the new device. Simply move the existing system plug to the replacement scanner head, apply power, and your machine will be back up and running again in no time! Safe communication over EtherNet/IP is not the only addition to the newest microScan3 Safety Laser Scanner. The microScan3 Pro can monitor eight (8!) simultaneous protective fields, giving you total flexibility in your safety applications. 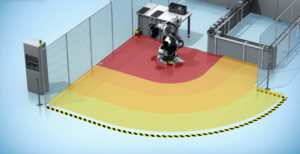 You can combine and organize those eight protective fields in up to 128 Monitoring Cases for ultimate flexibility in your manufacturing environment. The microScan3 Pro with EtherNet/IP also leverages its communication abilities in order to provide non-safe measurement data, which you can use for navigation of mobile vehicles or to track the position of people or objects in the measurement fields. All microScan3 Safety Laser Scanners use SICK’s proprietary HDDM+ measurement technology to provide for high accuracy measurement data, as well as improved “noise” rejection of dust, dirt and moisture in the ambient environment around the scanner. Tec-Hackett has on-staff SICK Product Specialists that can answer your questions about the microScan3 Safety Laser Scanner and all of SICK’s products. Learn more about the microScan3 Pro with EtherNet/IP at SICK’s website.